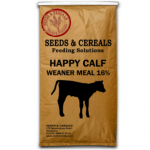 Happy Calf 16% (Starter Meal) is a premium calf weaner meal formulated by leading NZ animal nutritionists using crushed cereals, quality protein meals, vitamins and minerals. Bovatec is included to promote healthy rumen development. 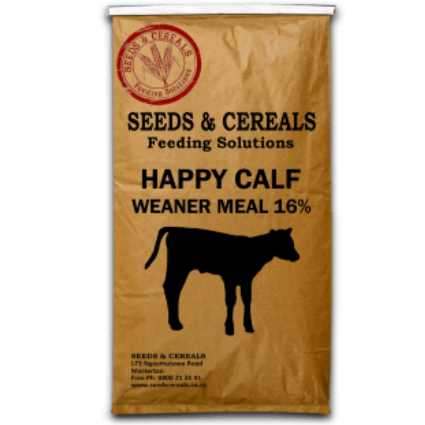 It is recommended that Happy Calf 16% (Weaner Meal) is offered to calves once put to pasture at a rate of 1.5kg reducing to 0.5kg per day at 12 weeks. This will maintain growth rates and provide continued protection against coccidiosis. 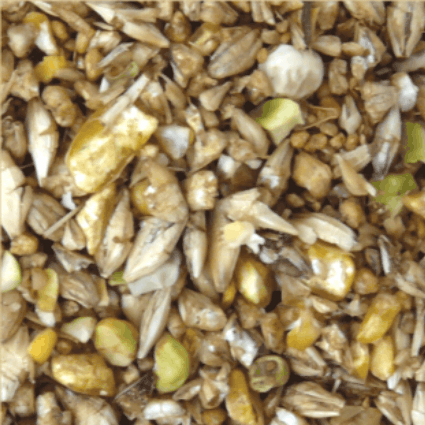 Seeds & Cereals Calf Meals contain the coccisio-state Bovatec. Do not allow dogs, horses or other equids access to feed containing Bovatec, ingestion by these species may be fatal.